Posted Thursday, April 4, 2019 by developer & filed under Office Furniture, WorkStations. Corporate offices are increasingly looking for ways to achieve more with less. Tighter budgets need to yield bigger results. This makes adaptability paramount: doing more with less. Fortunately, the latest office trends show there are a number of ways to bring this goal to life. One trend that has literally torn down walls is the open concept floor plan. 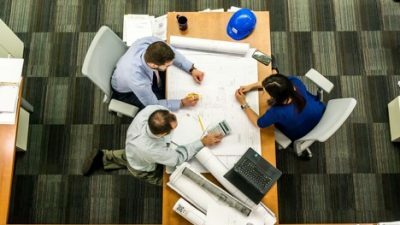 With no permanent physical barriers separating employees from one another, communication between workstations is much easier and less time is wasted tracking coworkers down for face-to-face conversations. This feature can help a company’s bottom line with improved productivity – not to mention the lower heating and electricity costs. The layout of an open concept office can also be changed with ease compared to a more closed design, making it ideal for flip tables that can easily be switched from a workstation orientation to a conference setup. Whatever a company’s needs are in that moment, an open concept can accommodate it well. Another trend gaining a lot of traction in corporate offices lately is to avoid leasing a space, opting instead for a coworking space. These communal spaces attract very small businesses, freelancers, and independent contractors to work together in a single location, offering an inexpensive workspace that also helps independent workers avoid the isolation of staying cooped up at home. 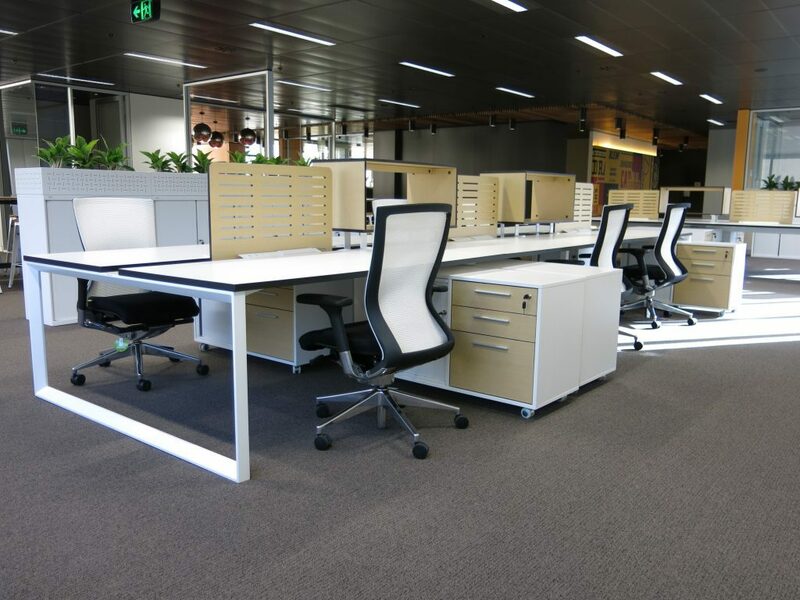 Workstations can be set up in variety of ways to allow for a space that’s both inviting to different work groups while still meeting their particular professional needs. Flexible, or transformative, workspaces are those that serve as “home bases” for companies. In a sense, these provide the adaptability of open concept spaces with the come-as-you-please movement a coworking office space affords. With a flexible workspace, employees come to the office only when they need to. 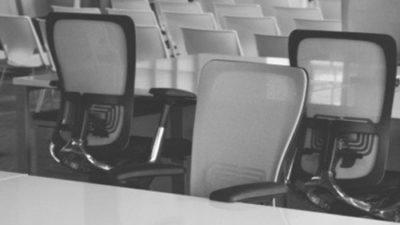 At the office space itself, there will typically only be basic office furniture, like chairs and tables for workstations. The idea is that this type of corporate office is only temporary and will therefore only be outfitted with the necessary furnishings for workers to be comfortable and to work efficiently. And like the other trends, this one also has the benefit of being highly economical. Discover how you can bring these newest trends to your office space with the furniture selection at Workspace 48.